Beekeeping on the Isle of Newfoundland. One more time, but in slow motion! When I kept my bees in Logy Bay and Portugal Cove, I used to get light honey in the spring and dark honey in the fall. This honey is not dark. 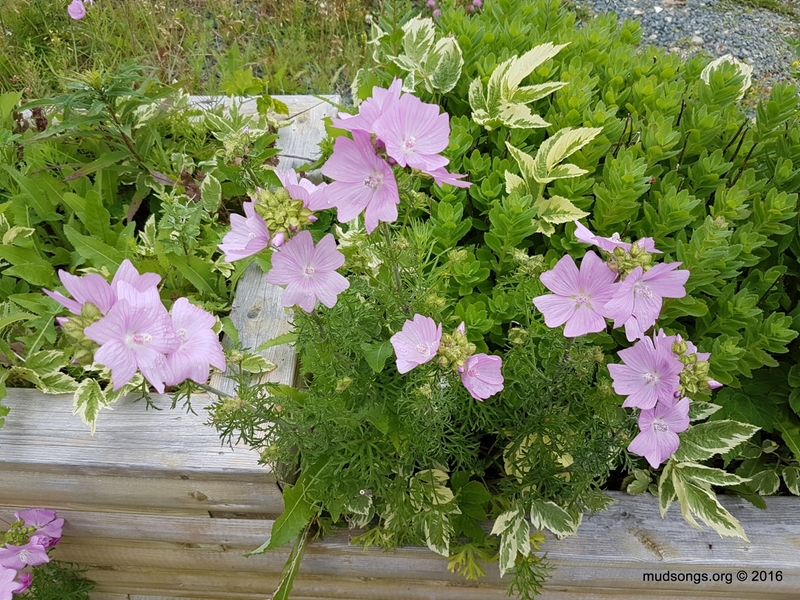 Judging from what I’ve seen in bloom in my area of Flatrock, I would guess it’s made mostly from Fireweed and Clover nectar, both of which produce a light honey. It doesn’t have the creamy opaque appearance of Goldenrod honey, nor any of the darkness of Japanese Knotweed honey. I look forward to next year when, hopefully, most of my colonies will come into spring at full strength instead of slowly building up over the summer like they had to do this year. I’ll probably post photos and more video of the extraction later this week. This video looks best played back in full screen mode. I keep hearing about how honey bees love Autumn Joy flowers, but I rarely see a honey bee go anywhere near them. Bumble bees sure like them, though. Here’s some slow-motion footage I shot today, with some moody music to give it that extra umph. Again, this is not a paid endorsement (though if Samsung wanted to pay me, I’d be more than willing to put some effort into capturing better footage), but for the record, I shot this slow motion video on my Samsung Galaxy x7 smartphone. 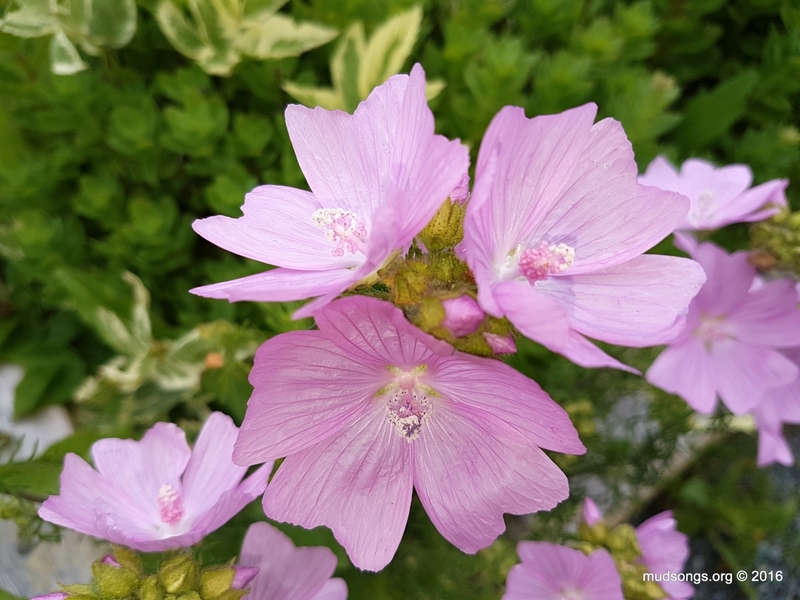 I recently found these flowers growing around the edges of my gravel driveway (click the images for a better view). 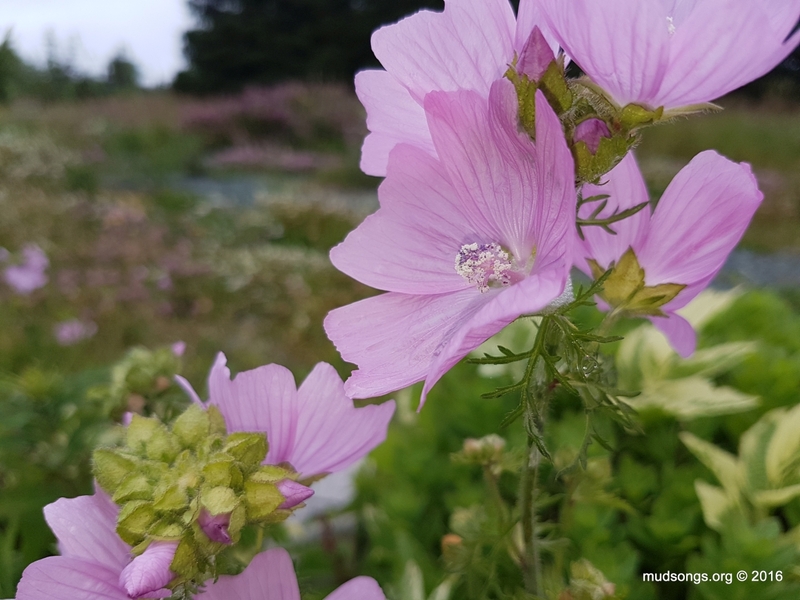 According to my friendly neighbourhood person who knows these things, the flowers are called Malva Moschata, sometimes referred to as Musk Mallow. They’ve shown up, not in large numbers, in the past week. I have yet to notice any honey bees on them, but the Oracle tells me honey bees go for them. As usual, that’s good enough for me to add them to my Newfoundland Honey Bee Forage list. I’ll update this post if I manage to take a photo of a honey bee on one of the flowers. 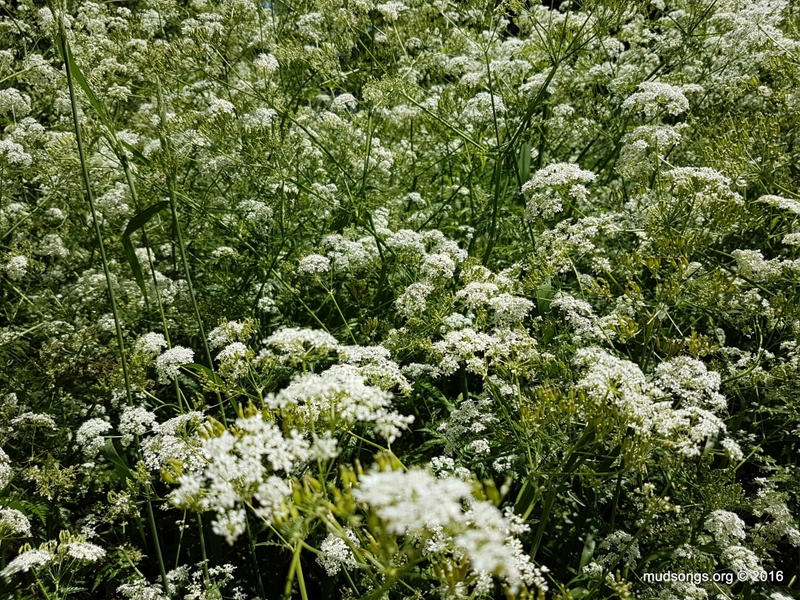 I see the weed commonly known as Queen Anne’s Lace growing abundantly along the sides of roads and in country fields where I live, and I’ve always wondered if honey bees are attracted to its nectar. A little bit of online research tells me nope, they’re not too keen on it. I also read on a couple of beekeeping forums that when the bees do get desperate enough to collect nectar from Queen Anne’s Lace (also known as wild carrot), the resulting honey takes on a distinct aroma of body odour. I can’t confirm this from my own experience. Nevertheless, I’ll file this one under Stuff That’s Good To Know. 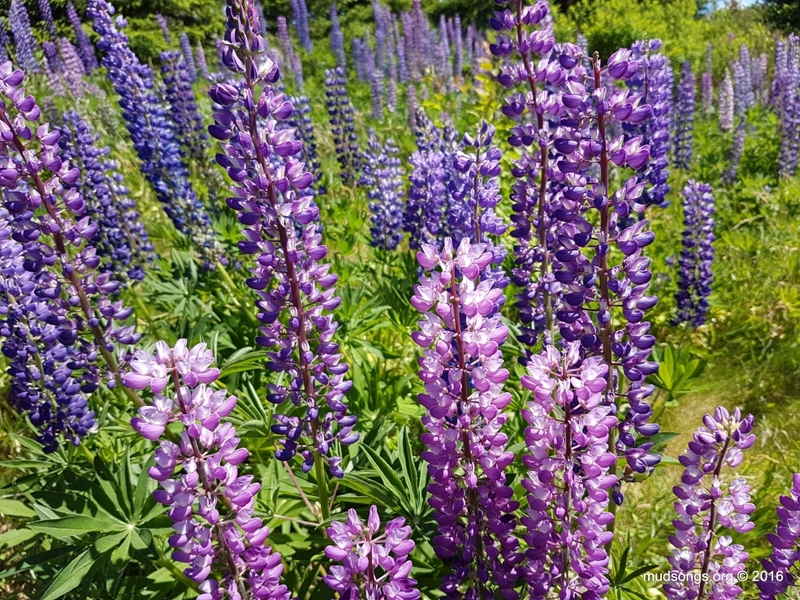 Lupins. (July 04, 2016.) Click the image for a prettier enlarged view. 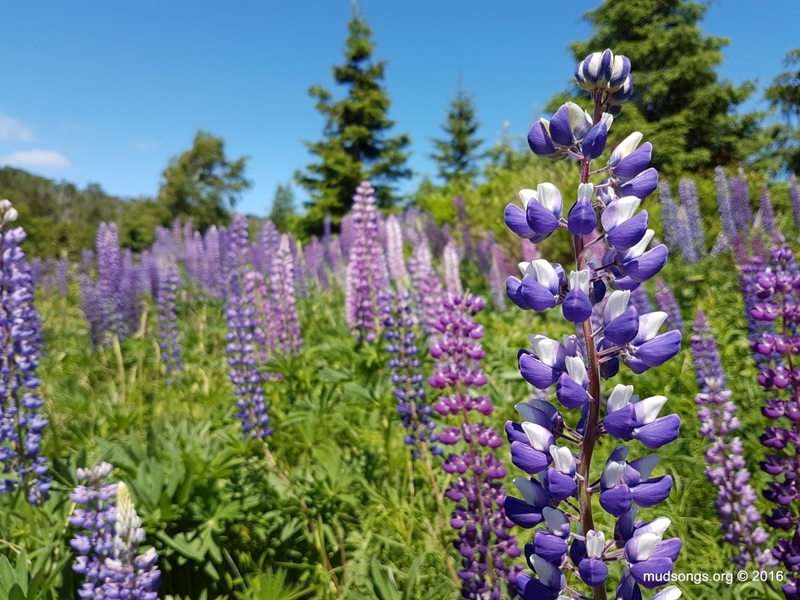 Lupins, which grow mostly on the sides of highways and country roads in large numbers, appeared about two weeks ago during our first (and probably last) heatwave of the summer. 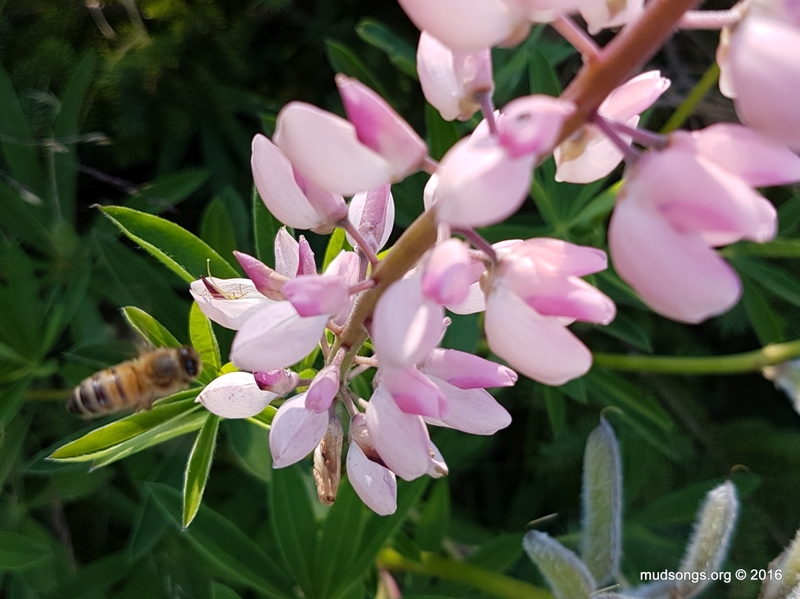 I’ve been sitting around in fields of lupins for the past week and haven’t seen a single honey bee go anywhere near them — or any kind of bee for that matter — so I’ve been hesitant to add lupins to my Honey Bee Forage list. But a little Googly action shows loads of photos of honey bees on lupins. That’s good enough for me. JULY 16, 2016: Found one! 100 Pounds of Honey? Really?